We have many different types of laptops available, how do you know what you need? Our representatives can help you select the best fit for your needs and budget, but here are some tips to help you understand how this selection is made. Most software have both minimum and recommended specifications. If you plan on running a particular application with your rental, try to provide the recommended specifications to our representative. If you can’t find these specifications, at least be ready to describe the intended use of the laptop. We can provide a rental for you without this information, but there is no way to guarantee we are picking the best fit for you! Examples of applications that may require higher end laptops include gaming, CAD, VR, and photo and video editing software. Is a video card needed? What video card is recommended? Understand whether you need a Microsoft or an Apple operating system. This, too, is typically defined in the minimum and recommended specifications for the software you intend on using. Sometimes very specific operating systems are required, such as Windows 10 Professional, or 64-bit operating system required. It is important to provide this information, because a program requiring Windows 10 Professional likely will not work on Windows 10 Home. Many software packages are compatible with most operating systems, and in many cases, selecting Microsoft or Apple can be a personal preference. Do you have the need for large displays to go along with your rental? Large monitors can be provided with your laptop rentals, but this may influence the hardware requirements, so it is important to communicate this up front. Additionally, if large monitors are required, a desktop may be your best-fit solution (which we can help with too!). Do you need any applications, such as Microsoft Office, preloaded on your rental? We can do anything from installing specific programs in advance, to cloning your rentals using an image you provided. What does that mean? You can configure a laptop with the exact programs, settings, and other preferences, and send it to us, and we will use that “image” to setup every laptop on your rental order exactly the same way, so that all of your users will see the same thing. Do all laptops on your rental need to be identical? For events like eSports and gaming tournaments, having a standard hardware configuration levels the playing field. However, for large quantity orders, it is sometimes the most cost effective option to provide some hardware with better specifications. For example, if 100 laptops are needed with a minimum of an i3 with 4gb of RAM, and we only have 70 available, it is much more cost effective for us to provide 30 i5’s with 8gb of RAM than it is for us to buy 30 new i3s. You will not be up-charged if we upgrade you to a higher specification due to inventory constraints, so in most cases this is a good thing as you will receive some higher end laptops for the same price! However, if you absolutely need all units to be identical, just let us know, and we will make sure that happens. Do you need spares? What if more people show up to your event than planned? What if some incident occurs and some of the laptops are damaged? What if one of the users messes up your software configuration and their laptop no longer works just like all the others? Can you live with being short a few laptops, or do you need extras just in case? Are you heading to ESports Insider’s event next month in New York City? See our extensive line of available rentals for the gaming sector –which includes laptops. Renting laptops is the most cost-effective way to obtain laptops quickly and on a short-term basis. 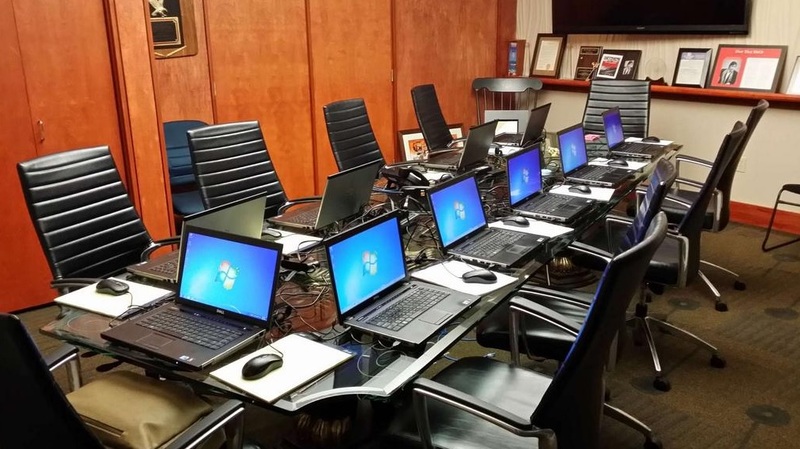 With service in over 1000 cities worldwide, Rentacomputer.com offers a wide variety of laptops to meet the needs of your next event, conference, or project. 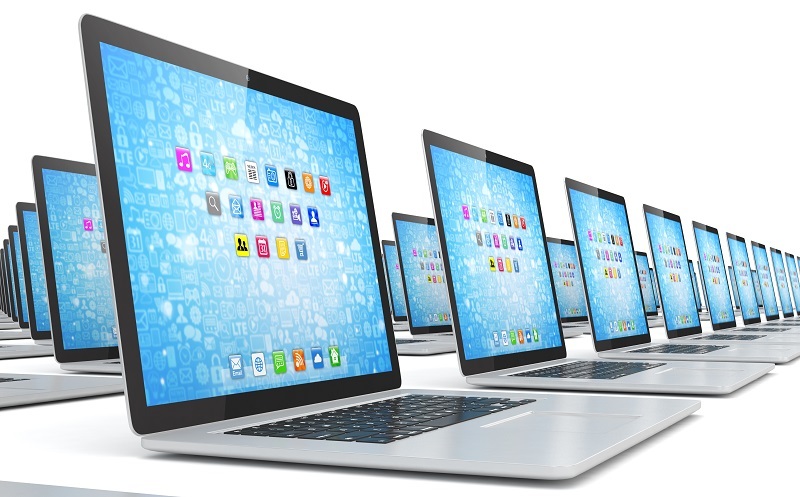 Get a quote for all of your laptop rental needs today! Need desktops? 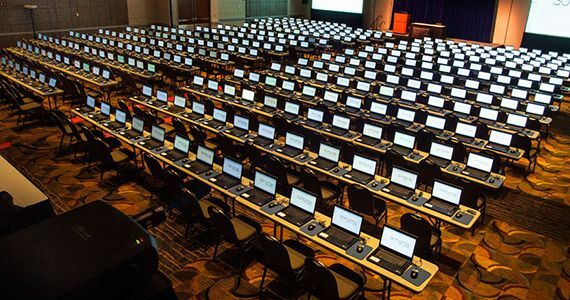 Rentacomputer.com, has a team of experts ready to deliver and install all of your technology rentals, including PCs, servers, projectors, and more. Just let us know what gear you need, and our technicians will set it up on-site when and where you need it. Get a quote for all your desktop rental needs today!